The Swiss invention of the Handpan in 2000 gifted to the world the perfect instrument for relaxed settings. Those familiar with the Handpan may find it hard to picture drinks on a tropical beach without imagining the sound of a handpan playing in the background. The handpan is a hand-crafted instrument made from steel. 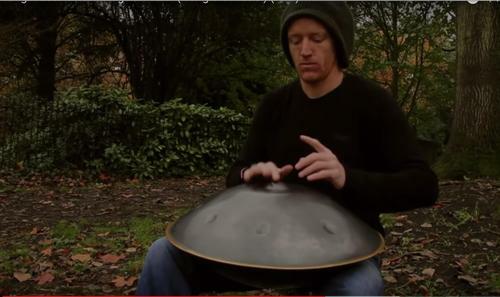 The player of the handpan taps on divots to produce the desired sound from the instrument. The sound of the note played will vary based on the location that is tapped by the player as well as the force used to strike the instrument. The Handpan is formed into a dome-like object. The instrument is designed to allow musicians to use the diatonic scale to create their music. The original Handpan, also known as a Hang, was constructed by PanArt. The instrument was inspired by a steel drum that was popular for Trinidadians to play in the 1970s. The major difference between the two instruments is that while the steel drum of Trinidad was convex in shape, the Handpan is Concave. PanArt is no longer involved with the making of these instruments but there is no shortage of manufacturers that have stepped up to fill the demand. Early players of the Handpan used the instrument to create soothing music with a calming effect on listeners. A handful of these players caused enough of a stir to garner mainstream attention. 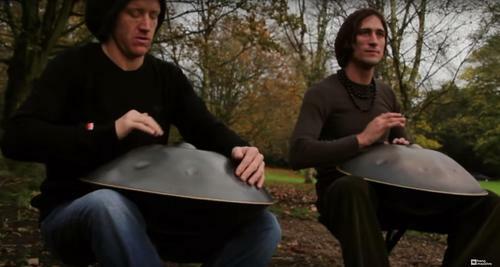 One popular band that has made the Handpan an integral part of their musical creations is Hang Massive. The members of the two-man band, Markus Offbeat, and Danny Cudd, first met while in India. The two spent time playing together on the street while honing their craft. A music video by the duo entitled ‘Once Again’ now exploded with popularity in 2011 and has received more than 30 million views. A website for the duo reports that since the success of ‘Once Again,’ Offbeat and Cudd have released four full-length albums, an EP, and a single. The duo is preparing for a mammoth tour. The latest album from Hang Massive is entitled Luminous Emptiness and can be enjoyed on most popular digital platforms. Send this video to the lovers of music in your life. They will thank you for introducing them to the relaxing sound of Hang Massive and other musicians that use the Handpan for their musical creations.